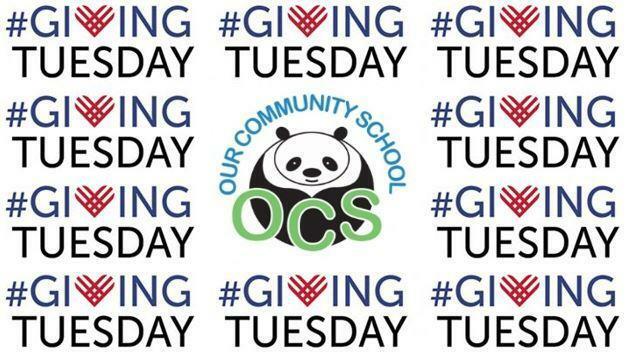 See how you can donate and support OCS on #GivingTuesday. We have opportunities to give through Facebook and earn money through Benevity. Join us on this global day of giving. It is a wonderful way to give back to your favorite non-profits. We hope Our Community School is top of your list. Our goal is to raise $15,000. To help you see how far that money goes at OCS, $15,000 can cover the cost of a year’s worth of copier paper, buses for field trips, or 3 months of the school’s electricity bill. Remember, your gift may be matched 1:1 so a $50 gift equals $100! Join us and show your support for Our Community School on #GivingTuesday! Facebook is partnering with PayPal to offer up to $7 million in matching funds for all that donate tomorrow. Facebook is also covering all platform fees for donations on this day. Therefore, 100% of your donation will go to OCS. Here are the ways that you can contribute to the FB Fundraiser. Make your donations starting at 5:00am PT through until 11:59pm PT. The sooner you make your donation, the better the chance of receiving Paypal matching grants. Like and Share the OCS FB Fundraiser with your FB friends: https://www.facebook.com/donate/326942214766063/ You never know who wants to support us and no amount is too small. Create your own FB Fundraiser to benefit OCS. 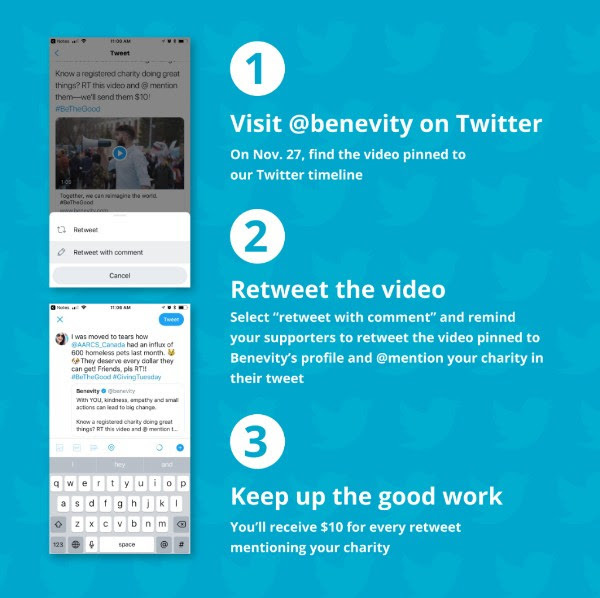 Benevity is also offering non-profits a way to raise money on #GivingTuesday by spreading a message of good. "The world could use a lot more good right about now. When you turn on the news or go on social media, it’s easy to see that we’re more divided than ever. But the one thing we can all agree on is that what we’re doing is not working. It’s time to #BeTheGood we want to see in the world, and what better time to start than #GivingTuesday, the global day of Goodness?" They have created a #BeTheGood video that they would like shared across Twitter. For every share that includes their hashtag and mentions a charity/non-profit, they will donate $10 to that organization. Believe it or not, but OCS has a twitter account, @OCSPanda. It just hasn't been used for many years. Let's revive it! Follow these steps and share with your networks!